We invite you to join us for this exciting workshop: Regenerative Practices in The Garden & Beyond hosted by Patricia & Forrest of Sun Roots Farm. The date is April 12th, 2019 from 2-5 pm at The Redwood Valley Grange. Sun Roots Farm is located in Round Valley — Covelo, of Mendocino County, California. This farm has vegetable, herbal, fruit, fungi, native medicinal and perennial gardens that welcome a large biodiversity to the land. The farm works with and listens to nature constantly attempting to restore and give back to Earth. The use of biodynamic practices also allows vital life forces within, above, below and throughout the farm. Agricultural practices include closed loop systems, water conservation, wildlife sanctuaries, companion planting, intercropping, permaculture, polyculture, fire safety, no-till, using local resources, bee-keeping, composting, raising animals mindfully, fermentation and inoculation of natural fertilizers, hügelkultur beds, sheet mulching, and a commitment to incorporating sustainable living techniques into daily existence. The farm carries heritage strains of unique genetics by our Covelo family lineage that thrive in the local environment. Each flower and product has been hand-crafted and selected to meet the connoisseur's taste. Sun Roots Farm in Mendocino County, CA is one of the winners of the Regenerative Cannabis Farm Award at The Emerald Cup 2018. The award is designed to be a catalyst of positive competition filled with information sharing, land stewardship, ethical marketing, watershed consciousness and love of nature, living soil and biodiversity. The goal of the award is to educate people about what regenerative cultivation techniques are and how they can be adopted to help us grow the highest quality, pure medicine that truly expresses the terroir of the farm. Workshop fee is $10 per person. For more information call 707-489-6029. Learn more about Sun Roots Farm on their website here, or, by following Patricia & Forrest on Instagram. Have a workshop that you’d like to host?  Let us know by writing chiah@mendocinogenerations.com. We look forward to seeing you at this upcoming workshop. You won’t want to miss it!